Through the Clicklaw contributor site, you can add a service that is offered by your organization. 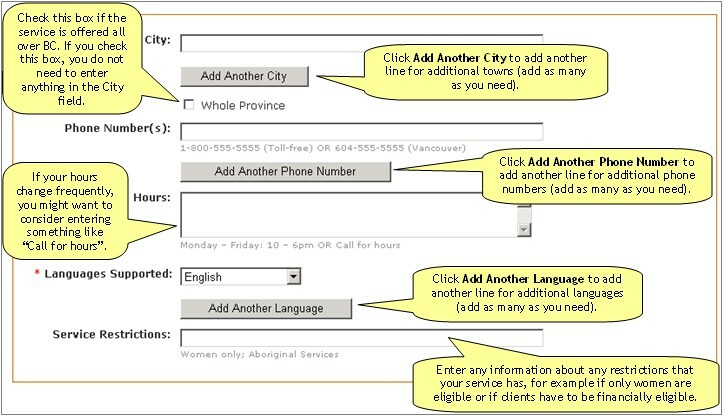 Before you begin to add a new service, take a few moments to collect some information about it – this will save you time! See Clicklaw Content Criteria and Guidelines to determine if a service is suitable for adding to Clicklaw. Click “Add services” on the contributor homepage or in the left menu bar of the contributor site. This brings up the “Add a resource” form. Describe your service by entering the service name, URL (the website address), and some other details. The image must be in PNG or JPEG format. The file size of the image must not exceed the maximum file size of 1 MB. 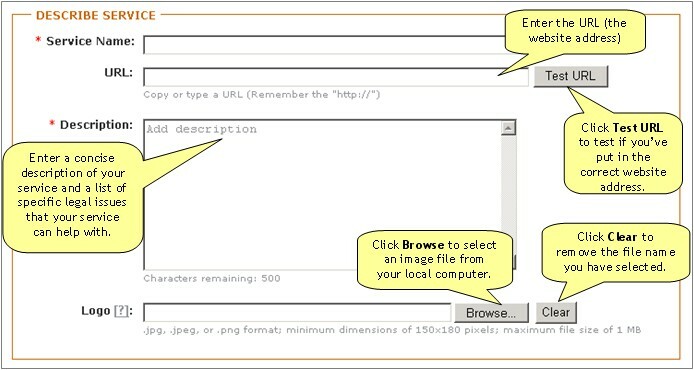 The dimensions of the image must be no smaller than 150x180 pixels. 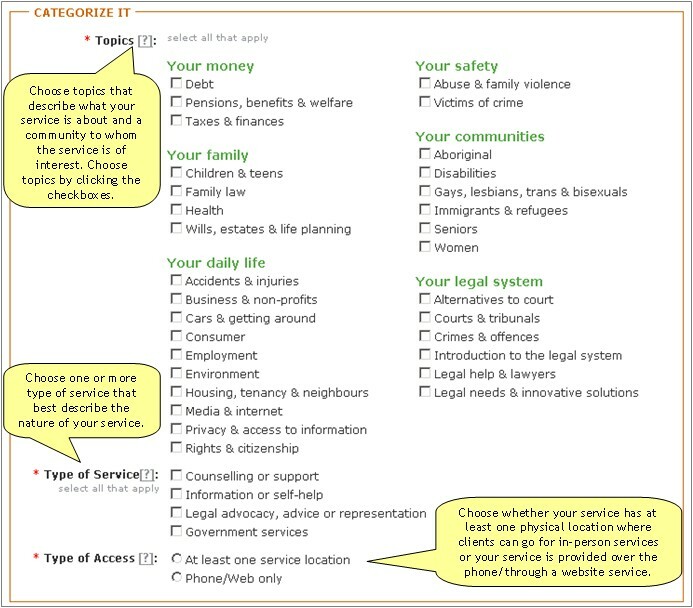 Categorize your service based on categories from the Clicklaw taxonomy and how people can access it. If your service has one or more physical location(s) where clients can go for in-person services, enter the location details. 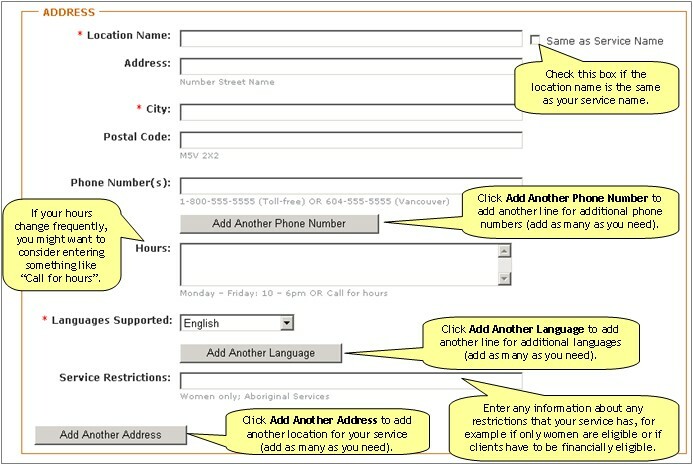 If your service is provided over the phone or through a website only, enter the information on how to access it. Once you have completed the form, you can Publish your service or Save as Draft. This page was last edited on 28 February 2014, at 12:36.